Bloomberg is reporting that Microsoft has finally decided to put an official end to its Zune media player line. “A person familiar with the decision” has informed them that Microsoft will not be putting out any new hardware in the line, and will be henceforward focusing on integrating Zune functionality with the Windows Phone 7 platform. Not exactly unexpected; the Zune hardware hasn’t changed since mid-2009’s release of the Zune HD, although it has received several significant software upgrades. The writing has been on the wall for a long time, but whether Microsoft would double down (again) or cut their losses was far from clear. Let’s just have a quick trip down memory lane. CrunchGear was one of the first in the world to see the Zune after a Microsoft employee unwisely (or perhaps wisely) left one on the table at a Seattle dive bar with bloggers around. We covered it feverishly, as it seemed to be a dark horse competitor to the iPod that might actually stand a chance. The unique (but cumbrous) sharing features, the brown shell (which, despite ridicule, was their most popular Zune), and the obtuse advertisements all suggested… well, something new and interesting. 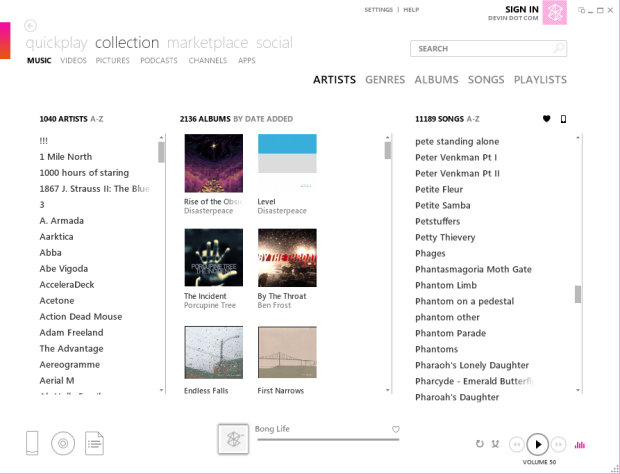 Various updates brought us to today’s Zune HD and Zune software, both of which must be complimented for a truly original and effective interface. I still use the Zune HD and it still gets compliments. But sales were never what Microsoft hoped, perhaps because of Microsoft’s on-the-fence attitude about apps and additional functionality. While the iPod touch is plainly billed as an iPhone sans phone, the Zune was billed as being all about the music – except it was all about the cloud – except it had apps – except it didn’t have a clock – except it was in Windows Phone 7 – except it was in the Kin… and so on. It wasn’t a total albatross (it’s sold several million and the streaming service is well-liked) but that’s not much to throw in the face of the indomitable iPod. It’s a sad story, one of many in which Microsoft is unable to find the right gun for a bullet. However, with the choice to integrate with WP7, and the imminent roll-out of WP7 via Nokia, the Zune service will probably live on, though almost certainly as part of a larger media and data cloud service (perhaps the “Ventura” project they’re hiring for). Their forward-thinking pioneership in streaming and subscription music (now reflected in cloud music services like Rdio and Spotify) are not forgotten, either. Zune DNA, and hardy DNA it is, will survive in the Metro interface and everywhere else thin, clipped sans-serif text is found. One could say this was their plan all along, as part of their “three screens” wraparound service, but the fact is it’s been plan B all along, and now that the Zune has failed to dent Apple’s share from the media player side, they’re going to try a different tack. As for the player? No new hardware means the Zune HD is the last of its breed, though it will likely be sold for a while longer. Hell, at $179 I still think the 32GB version is a great deal. And now that you know there won’t be a Zune HD 2, the original is, in a way, future-proof. So long, Zune. It’s been a long, brown trip. Update: Zune’s hardware business development guy has commented, downplaying the report but pretty much confirming what we’ve written here, that the Zune as a discrete player and brand is being rolled into WP7.